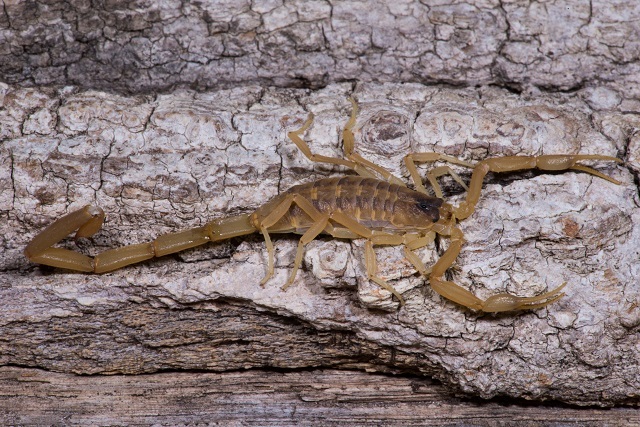 When in danger, female bark scorpions are quicker to sting when prodded with a stick than their male counterparts, which are more likely to flee, according to a study published today (May 28) in PLOS ONE. This is likely due to differences in male and female anatomy, study coauthor Bradley Carlson of Penn State University noted in a statement. Female bark scorpions are pregnant 80 percent of the year and are thus less able to run from threats. Compared with females, male bark scorpions longer legs and are better sprinters. In lab experiments, nearly all female scorpions observed stung when prodded by researchers in a lab setting, whereas only about two-thirds of the males did. Ant colonies are capable of complex and efficient problem-solving, according to a study published this week (May 27) in PNAS. 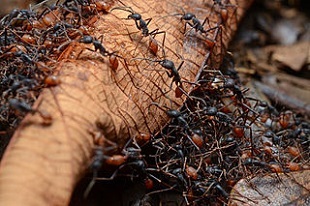 A team led by Jürgen Kurths of the Potsdam Institute for Climate Impact Research in Germany used published data on ant collective behavior to develop a mathematical model of ant foraging. The researchers found that although individual ants searching for food use a haphazard path, once food is found, the ant colony finds the most efficient path between the food source and the nest. They also found that older ants develop knowledge of the area around the nest and forage more purposefully than their younger counterparts. Fish under the influence of alcohol swim faster than sober fish, and can speed up the whole school, according to a study published earlier this month (May 12) in Alcoholism: Clinical & Experimental Research. 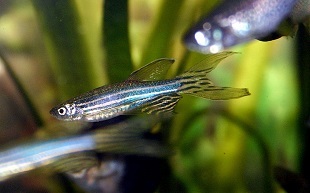 A team led by Maurizio Porfiri of the New York University Polytechnic School of Engineering exposed zebrafish to alcohol by allowing them to swim in different ethanol concentrations—from 0.25 percent to 1 percent—and then transferred them to a tank containing four ethanol-naive fish. Previous studies had shown that moderately intoxicated fish were more active. For the present study, the researchers showed that sober fish speed up to match the tipsy fish. “It is like [that the fish’s drunk behavior] is perceived as a boldness trait, thus imparting a high social status,” Porfiri told Discover’s Inkfish. When fish became severely intoxicated, however, they seemed to lose their standing and lagged behind the rest of the fish. Fork-tailed drongos (Dicrurus adsimilis) have long been known to steal food from other birds or meerkats, frightening them away by imitating their alarm calls for hawks or other predators. According to a study published this month (May 2) in Science, they are also capable of shifting their warning cries when the animals they want to burglarize don’t respond to initial warning cries. 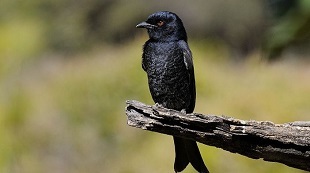 A team led by Tom Flower, an evolutionary biologist at South Africa's University of Cape Town, followed 64 wild drongos for nearly 850 hours. The researchers noted that any one drongo might know up to 51 different alarm calls, most of which are imitations of other species. And they estimated that stolen food accounted for nearly a quarter of the birds’ daily caloric intake. If an animal did not respond to the first two warning calls a drongo made, Flowers and his colleagues found that the clever birds would then change their warning call on the third try, which often succeeded in scaring off the target. “They’re paying attention to their targets, and they change what they're doing based on the feedback they receive,” Flower told National Geographic. Researchers first documented Indo-pacific bottlenose dolphins carrying sea sponges in their snouts near Australia’s Sharks Bay in 1997. Last month (April 24), a team led by evolutionary biologist Michael Krützen of the University of Zurich described how dolphins use the sponges to reach food they otherwise couldn’t. Their findings were published in the Proceedings of the Royal Society B. The team analyzed the tissue of 11 sponger dolphins and 27 non-sponger dolphins, looking for fatty acids that could provide clues about the dophins’ diets. More fatty acids most likely meant more prey fish in their diets. 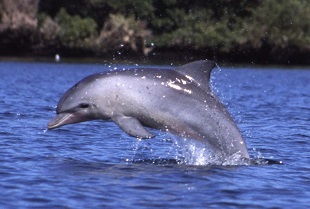 Dietary differences between spongers and non-spongers were partly based on the dolphins’ locations, but gave rise to two distinct fatty-acid profiles. “We were blown away as to how strong the differences between tool users and non-tool users were, especially given that these animals live in the same habitat,” Krützen told LiveScience. It isn’t clear which fish the spongers caught, but using sponges seems to help dolphins feed on fish on the seafloor, which can be difficult using echolocation alone, the researchers noted.